Diabetes is a chronic disease, patients are usually on anti-diabetic medicines. It may be wise to try some natural medicines for diabetes and proper exercise to control glucose levels. Combination of allopathic and natural remedies could be dangerous, so one should consult his physician before trying any of these medications. Gymnema leaves contain saponins and gymnemic acids that naturally have a capability of destroying sugar. Gymnema also increase the insulin secretions by the pancrease. Few leaves of gymnema can reduce power to sense the sweetness of foods and this helps to suppress appetite. Fenugreek has many health benefits.it has 4-hydroxyisoleucine amino acid that has the valuable property of reducing the rate of sugar absorption from stomach during digestion. Fenugreek also stimulates the pancreatic cells to increase insulin production. Boil one cup of water, add 2 tbs. of fenugreek seeds, strain and consume the liquid. Repeat this process twice a day and you will see a reduction in glucose levels. Bitter melon contains phytonutrient that helps in lowering blood glucose level. Cut few slices of bitter gourd and eat with stir-fry dishes, this will help mask their bitter taste. Coccinia indica contains insulin mimetic properties. Silymarin contains high concentrations of flavonoids and antioxidants, which have a beneficial effect on insulin resistance. Avocado seed extract reduced blood sugar in diabetic rats. Avocado also have a restorative and protective effect on pancreatic islet cells in the diseased rats. Berberine is a phytochemical found in many different plants. It has a lot of uses. Even it can be used as a substitute for insulin. Just like insulin, it activates the same biochemical pathway that signals cells to take up more sugar. Sources of berberine are barberry and Oregon grape. 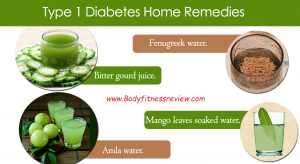 Natural diabetes cure is better and safer than other expensive treatments. Many herbs and spices are claimed to have blood sugar lowering properties. 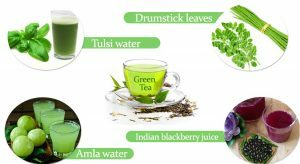 A number of clinical studies have been carried out in recent years that shows a potential link between herbal therapies and diabetes cure. This link has led people to trust these natural ingredients to help reduce their blood glucose level. Drink juice of bitter gourds daily in the morning for at least 2 months. Drink a cup of water mixed with 1 tsp. cinnamon powder daily. Cinnamon helps lower fasting blood glucose levels. Chromium is used in the metabolism of carbohydrates. Low doses of chromium are safe for diabetic patient because it reduces sugar level rapidly. Ginger also protects against heart problems that arise because of diabetes. Long term consumption of honey might have positive effects on the metabolic derangements of diabetes. 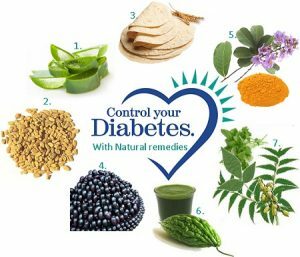 Consumption of one gram of black seed a day for up to 12 weeks had a broad range of beneficial effects in 7 Steps To Health And The Big Diabetes Lie.